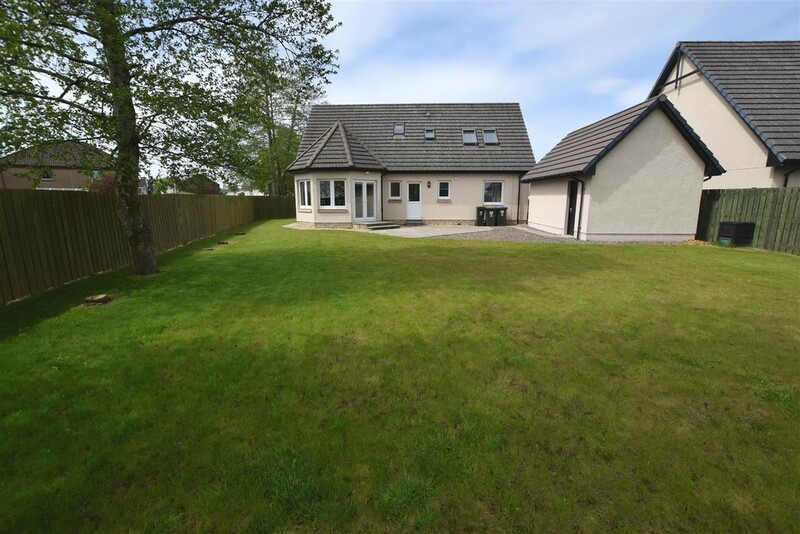 Next Home are delighted to bring to the market this bright and spacious 4 BEDROOM DETACHED VILLA located within the desirable residential area of Alyth, 5 miles from the larger town on Blairgowrie. 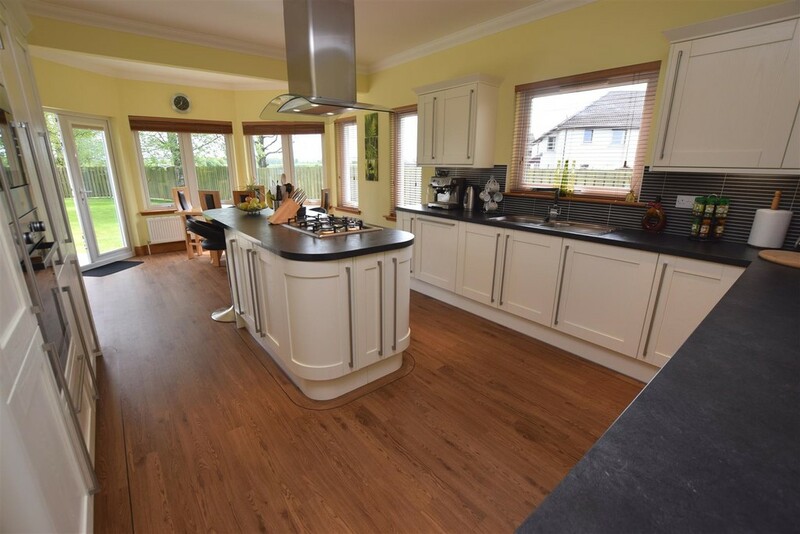 Split over two levels this spacious property comprises mainly of: entrance porch, hallway, lounge, kitchen/diner, utility room, landing, 4 double bedrooms (master with en-suite) and family bathroom. Warmth is offered through gas central heating and the windows are double glazed throughout. Externally there is a driveway leading to a single garage with power and lighting. 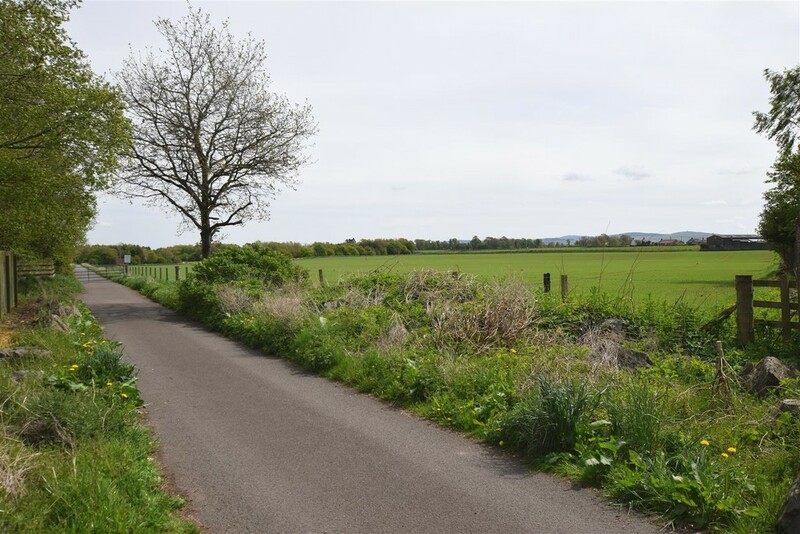 The property also benefits from being situated on a corner plot with countryside views. EPC RATING C.
Viewings are a must to appreciate the quantity of accommodation on offer. 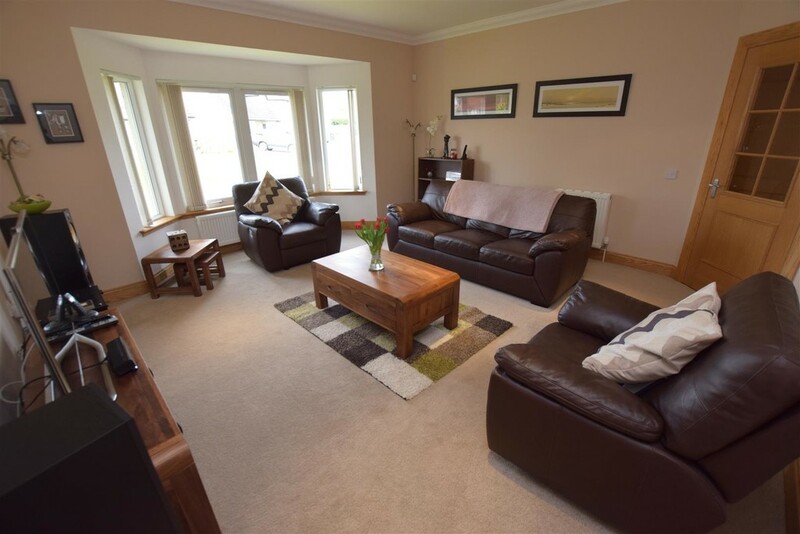 AREA Alyth provides an array of local amenities including shops, supermarkets, pharmacy, butchers, coffee shop, 3 golf courses and local primary schooling. 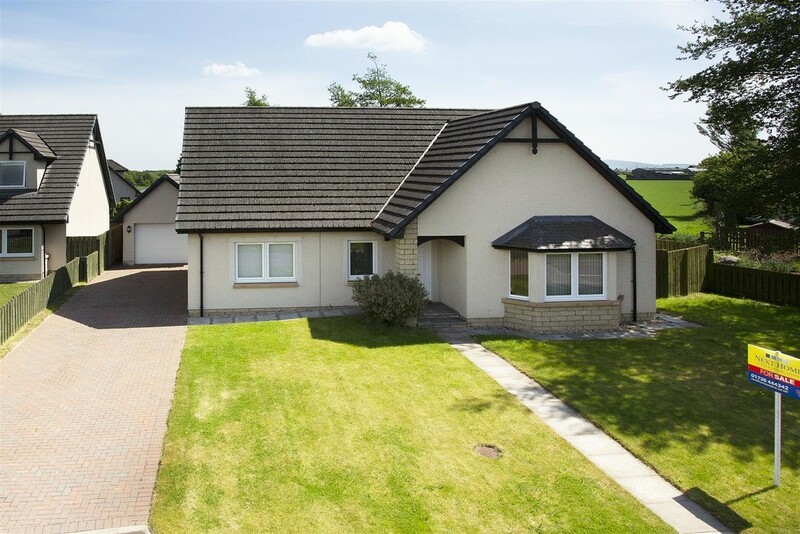 The larger town of Blairgowrie offers both primary and secondary schooling as well as further amenities. 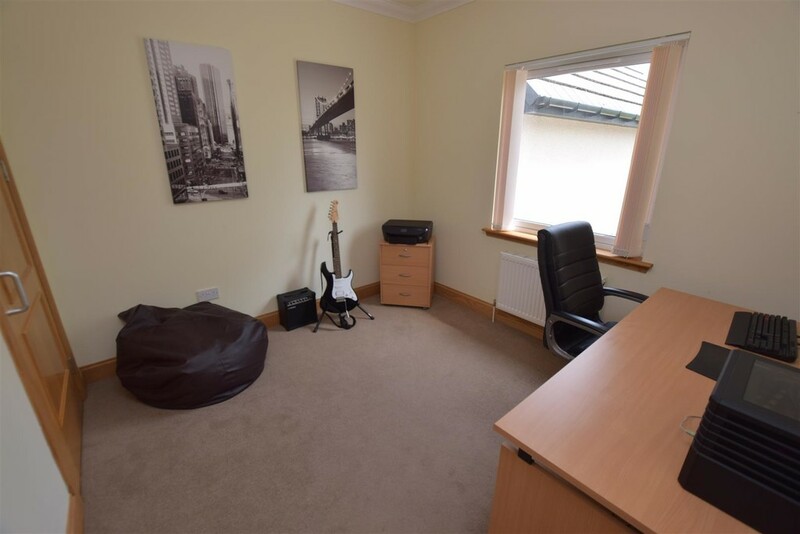 The property is well placed for the commuter with access to the cities of Perth and Dundee which offer a full range of amenities and entertainment facilities. Entrance Porch 4.65m x 1.78m (15'3" x 5'10") A very welcoming entrance porch which has ample space for hanging outdoor clothing. Tiling to the floor. Cornicing to the ceiling. Neutral decor. Radiator. 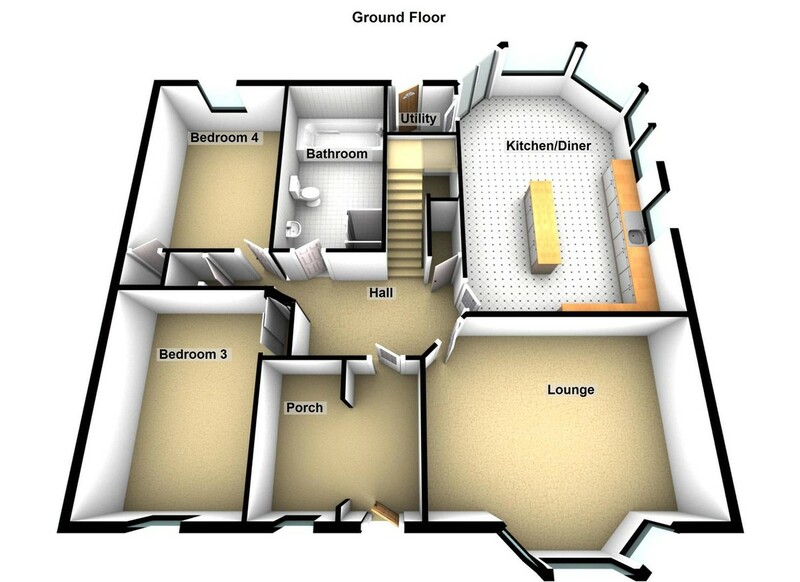 Entrance Hall 5.92m x 2.39m (19'5" x 7'10") A spacious entrance hall which gives access to all the ground level accommodation on offer. Built in under stairs cupboard with a further built cupboard both ideal for storage. Neutral decor. Cornicing to the ceiling. Carpet. Radiator. 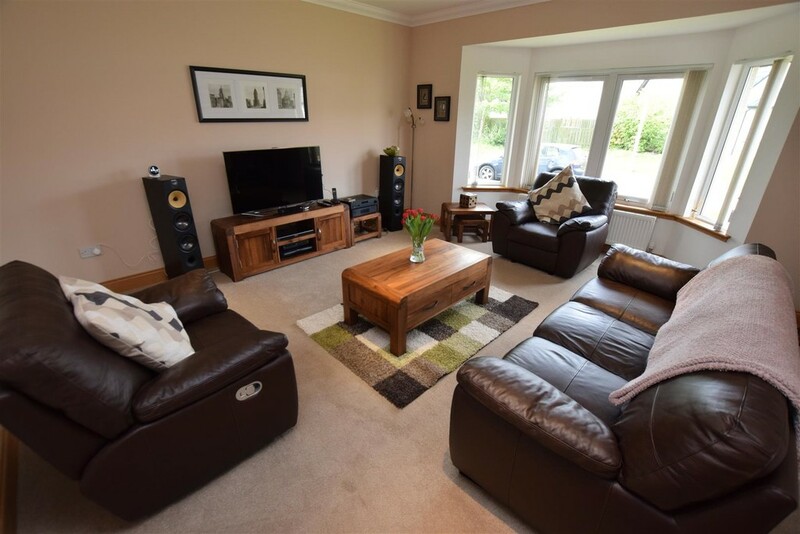 Lounge 4.93m x 4.78m (16'2" x 15'8") A bright and well presented lounge which has an attractive bay window situated to the front of the property and letting in natural light. Ample space for free standing furniture. Cornicing to the ceiling. Carpet. Radiator. 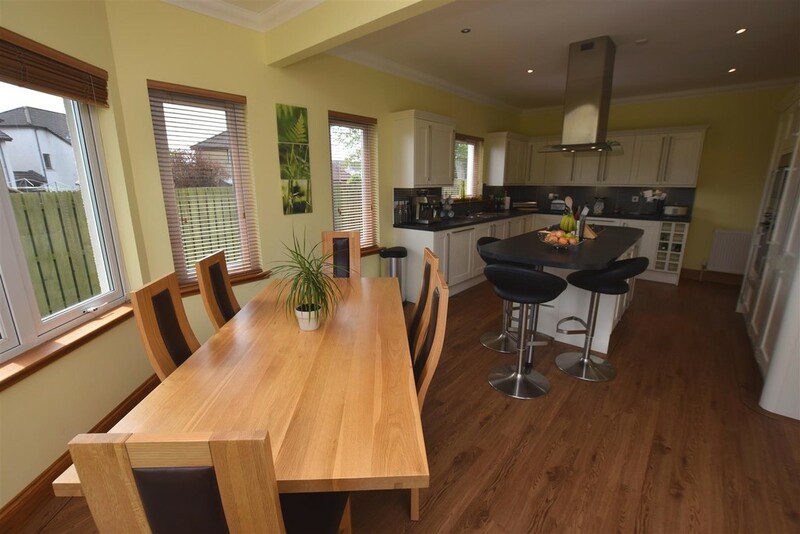 Dining Kitchen 7.57m x 4.22m (24'10" x 13'10") A generously sized dining kitchen which is fitted with a range of wooden base and wall units with contrasting work surfaces. There is a built in fridge freezer, dishwasher, microwave and oven/grill. 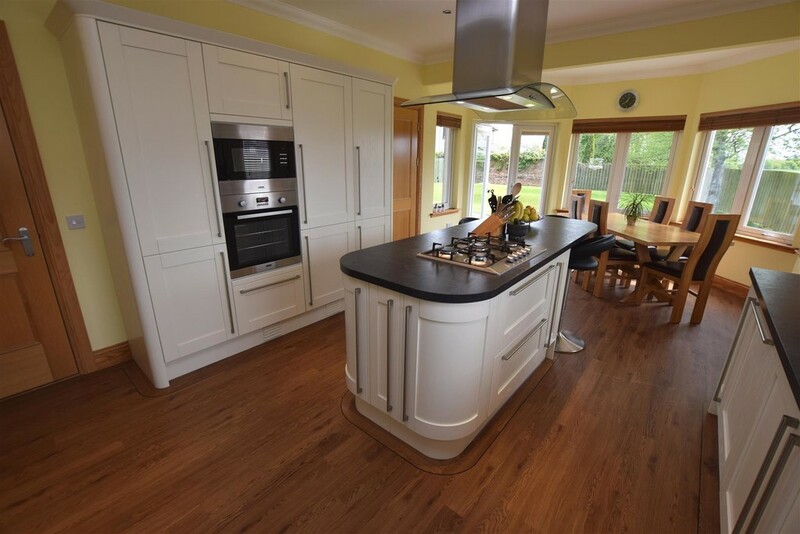 A central island with storage below and work surface to finish is fitted with a 4 ring gas hob which is included int eh sale and extractor hood above. Stainless steel sink with drainer unit. Space for a large dining table and chairs. French doors leading to the rear garden. Karndean flooring. Cornicing to the ceiling. Radiator. Access to utility room. Utility Room 2.41m x 1.70m (7'11" x 5'7") A good sized utility room which offers space for a washing machine and dishwasher. The boiler is housed here. Access to the rear garden. 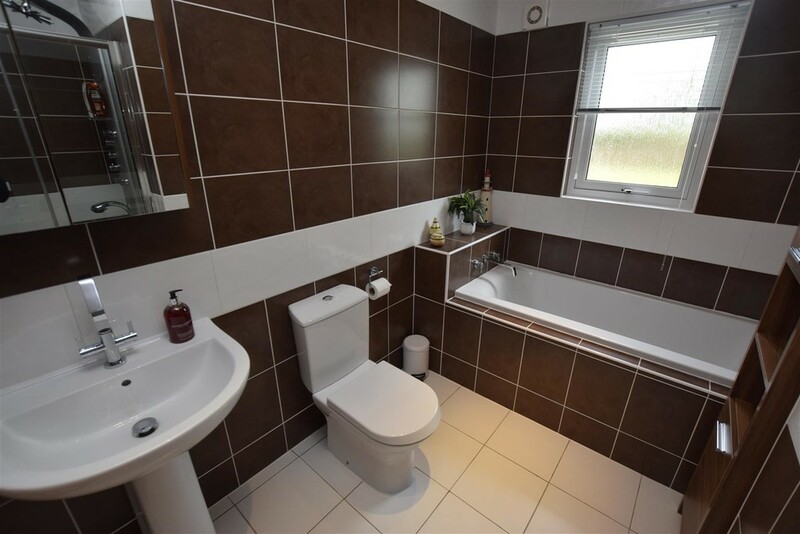 Bathroom 2.90m x 2.69m (9'6" x 8'10") A very modern and tastefully finished family bathroom which is fitted with a four piece suite comprising of: WC, wash hand basin with vanity mirror above, bath and double shower cubicle. Tiling to the walls and floor. Extractor fan. Opaque window to the rear providing natural light and ventilation. 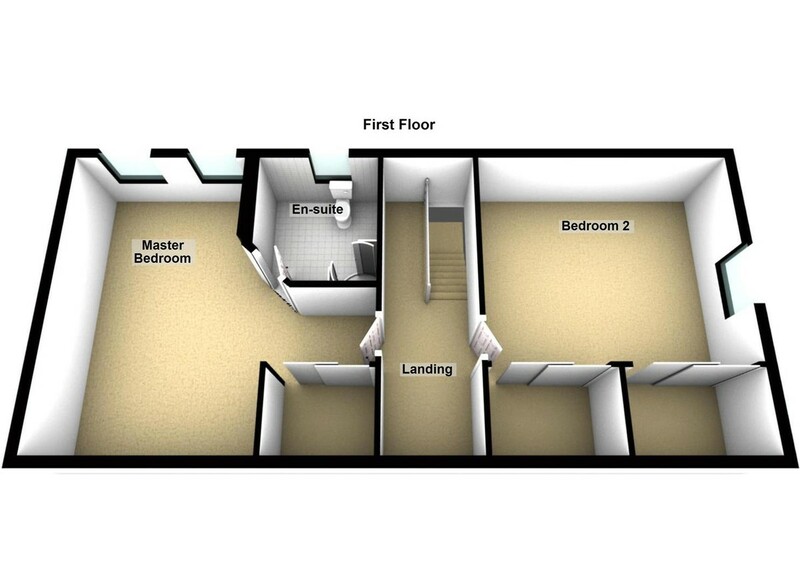 Landing 2.31m x 1.91m (7'7" x 6'3") Accessed via a fully carpeted staircase, the landing gives access to all the first level accommodation. Velux window to the rear providing natural light. Cornicing to the ceiling. Carpet. 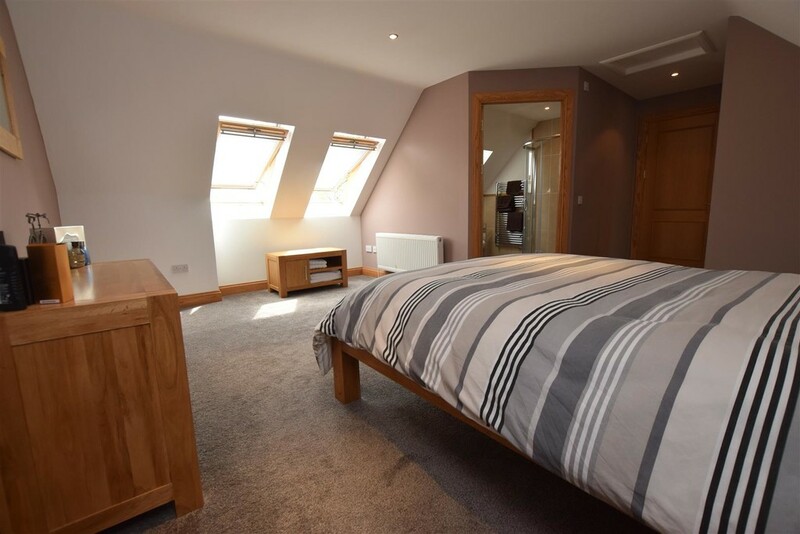 Master Bedroom 6.10m x 4.98m (20'0" x 16'4") A spacious master bedroom which has two Velux windows to the rear which provide ventilation and natural light into the room. A built in wardrobe, complete with hanging rail and finished with mirrored sliding doors. Space for a range of free standing furniture. Neutral decor. Carpet. Cornicing to the ceiling. Access to the en-suite. 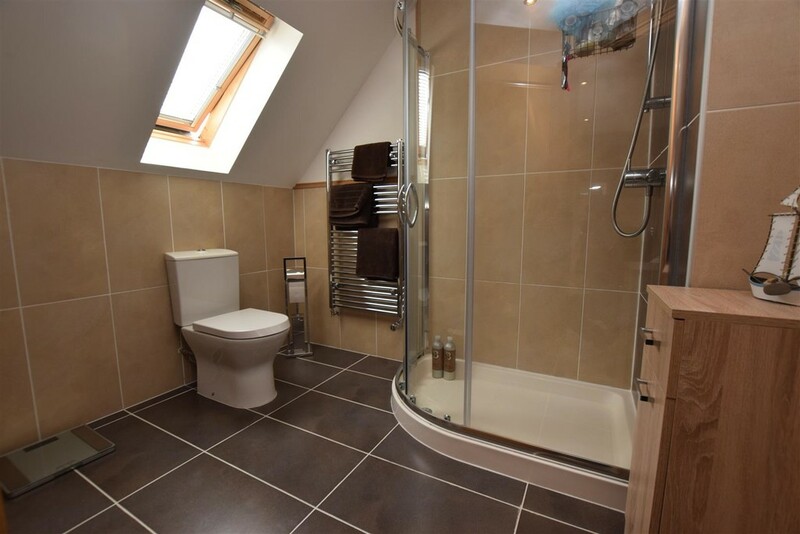 En-suite 2.46m x 2.39m (8'1" x 7'10") A modern and well presented en-suite which is fitted with a three piece suite comprising: WC, wash hand basin and corner shower cubicle. Tiling to the walls and floor. Velux window providing ventilation and natural light. Extractor fan. 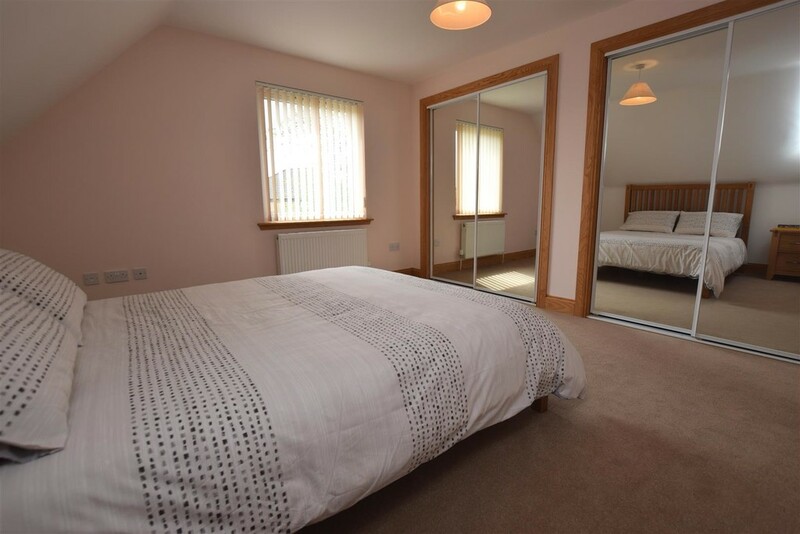 Bedroom 2 3.99m x 3.78m (13'1" x 12'5") A well proportioned second double bedroom which offers space for a range of free standing furniture. Two built in wardrobes with mirrored sliding doors and hanging rail. Window to the side provides natural light. Neutral decor. Carpet. 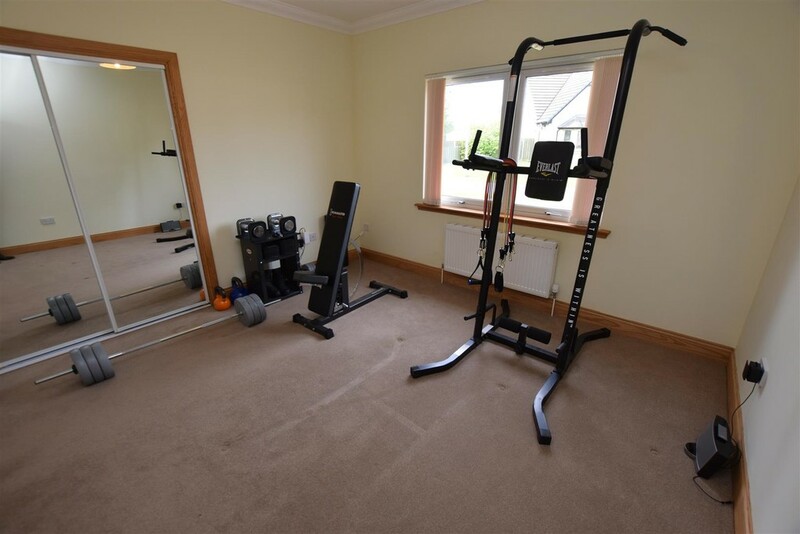 Bedroom 3 3.81m x 3.58m (12'6" x 11'9") Situated to the front of the property, this room is currently used as a home gym but could be easily turned back into a bedroom. There is built in wardrobes with mirrored sliding doors and hanging rail, ideal for storage. Neutral decor. Carpet. Radiator. 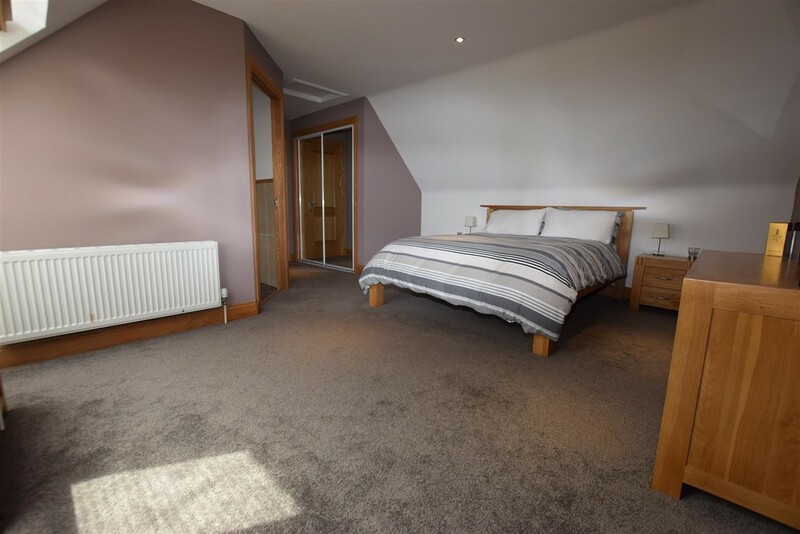 Bedroom 4 3.25m x 2.92m (10'8" x 9'7") A versatile room which is currently used as a study but could also be used as a small double or large single bedroom. 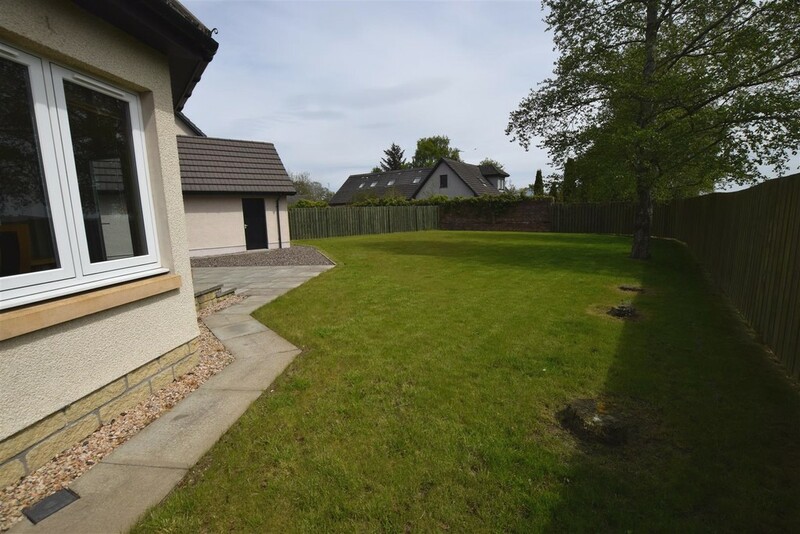 Situated to the rear of the property with views over the garden from a double glazed window. Carpet. Built in cupboard with hanging rail. Cornicing to the ceiling. 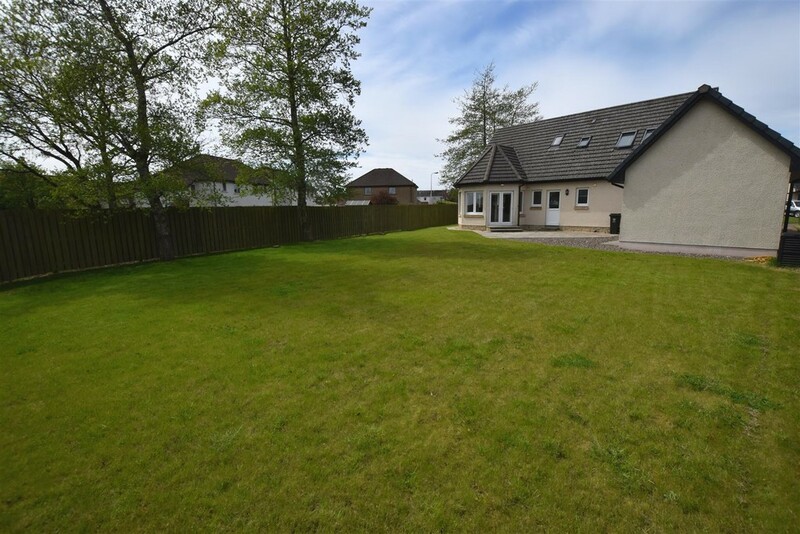 External The property is situated on a corner plot with a large mono-blocked driveway to the front leading to a single garage with light and power. The rear garden is fully enclosed and is predominately laid to lawn. 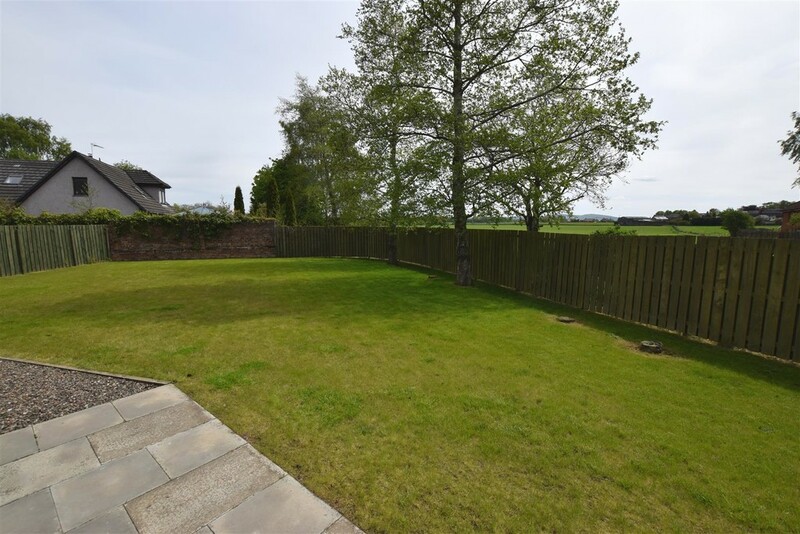 There is a patio area off the kitchen/diner, ideal for alfresco dining in the summer months or appreciating the lovely countryside views. External tap.